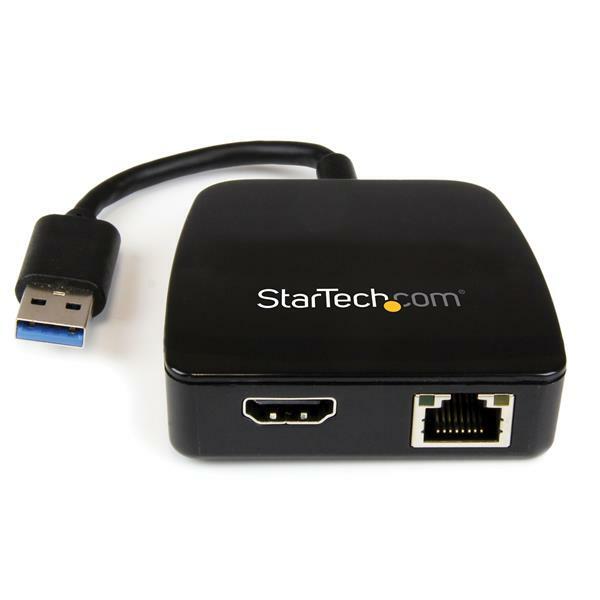 The USB31GEHD USB 3.0 Mini Docking Station Adapter lets you add Gigabit Ethernet and HDMI® connection ports to your Ultrabook™, laptop, or desktop through a single USB 3.0 host, giving you two connectivity ports that aren’t always available on modern mobile computers. 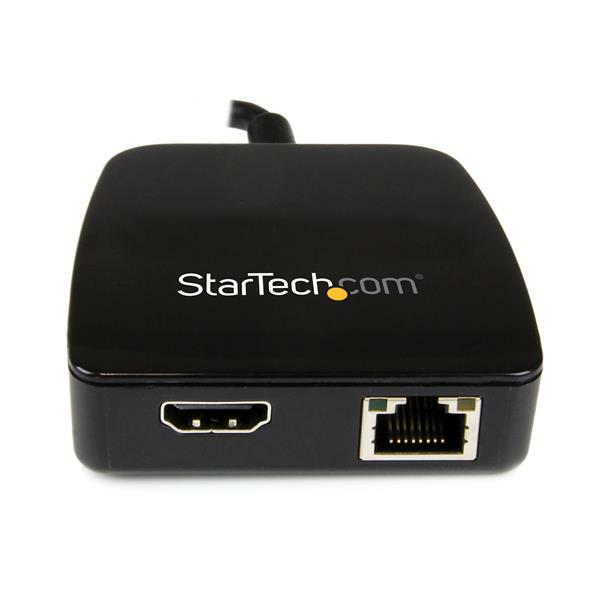 Providing full Gigabit bandwidth for faster network connections, this adapter leverages the 5 Gbps capabilities of the USB 3.0 interface to support 10/100/1000 Mbps Ethernet and is fully compatible with IEEE 802.3/u/ab standards. Plus, the Gigabit adapter functions as an external graphics card, letting you add an external monitor in addition to your laptop display, with 2048x1152 video and 5.1 surround sound audio (from HDMI® port only). 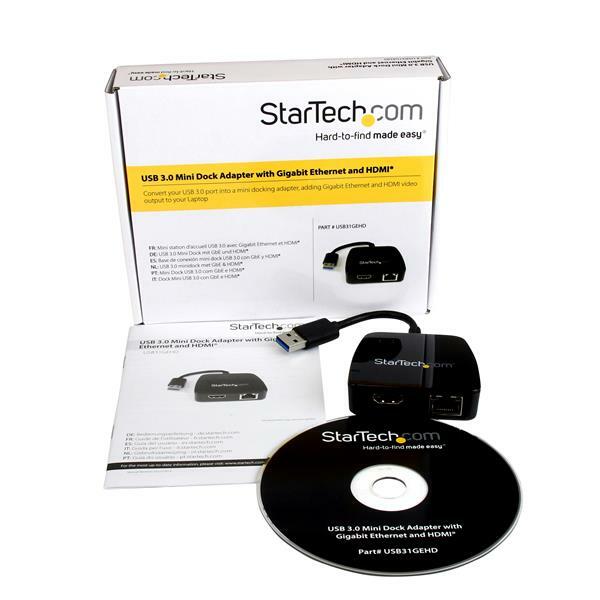 The mini docking station adapter ensures a quick and easy setup by automatically downloading the latest driver in Windows® systems that have an active network connection, and offers backward compatibility with USB 2.0 systems (speed limited by USB bus). Note Extended displays are currently only supported with DisplayLink-based products on macOS 10.11 to 10.13.3. This may change in future versions.